Did you know that there is a Sound of Music Singalong that is a family version of the Rocky Horror Picture Show. This is something I have to drag my mom to. 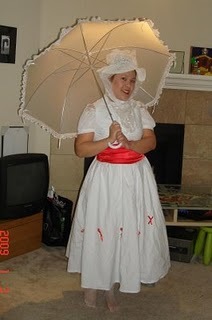 For the Costume Contest I dressed up as another recognizable Julia Andrews character. Then I got kicked off stage during the Costume Contest for being in the wrong movie.